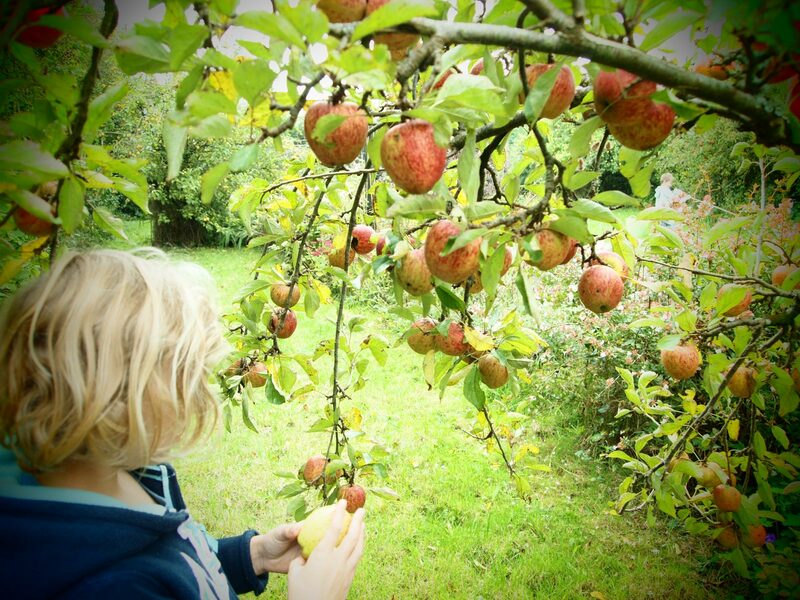 Camel CSA’s third annual Apple Day was our best ever – in spite of the Cornish mizzle. 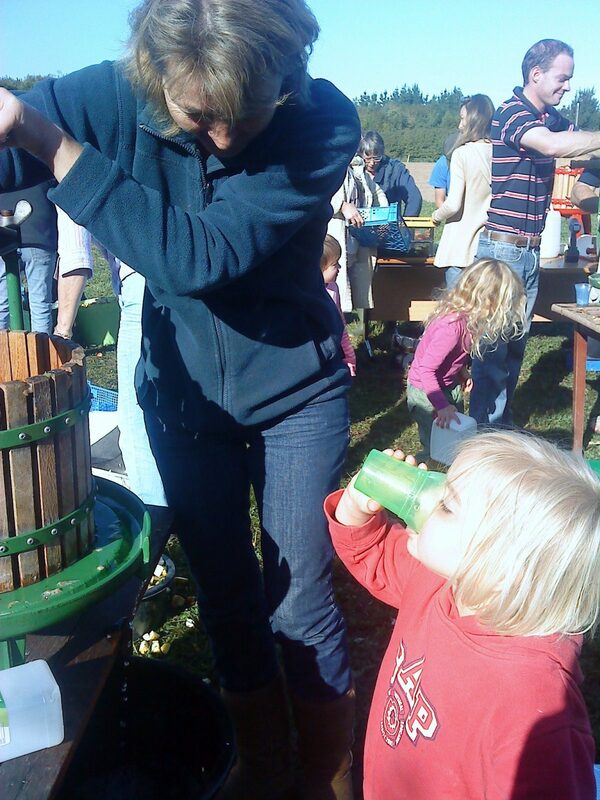 All ages pitched in to chop, crush and press around 90 litres of apple juice to share among everyone who took part. We’ve had an abundance of apples to juice this year. Most were picked from our adopted orchard in St Mabyn, the rest came from members’ gardens. Our team didn’t have the time or energy to press the entire mountain of fruit before the equipment had to go back to our friends at Chyan Community Field. So we came to an agreement with the St Mabyn “Cider Boys” (don’t ask!) and we now have an extra 50 litres or so of delicious juice to share out. The apples are harvested and the apple press is on its way. 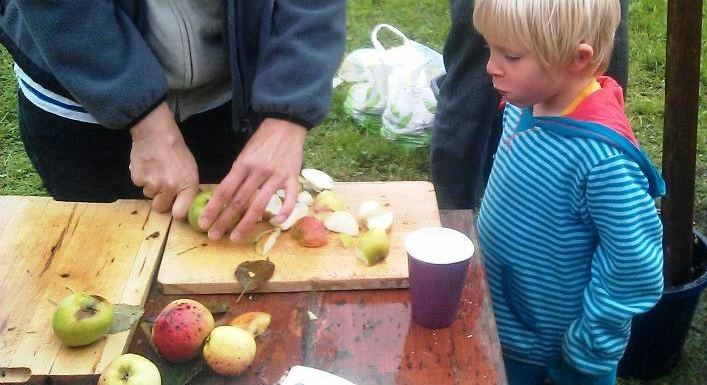 We’re all looking forward to our third annual Cornish Apple Day on Sunday when we’ll be producing masses of delicious fresh apple juice to share. 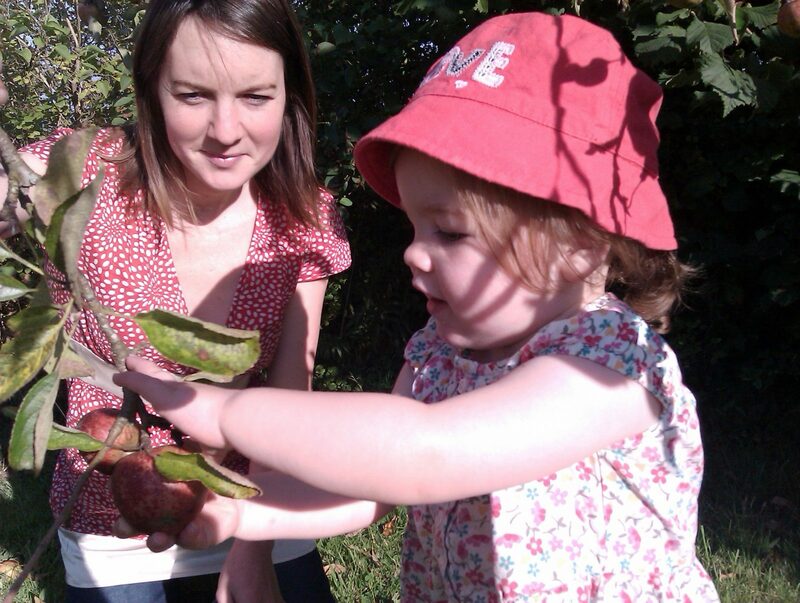 Come and take part in the apple pressing on our community veg-growing plot between 10am and 1pm this Sunday 9 October. Find us here at St Kew Highway near Wadebridge in north Cornwall. If you can bring any apples and a plastic juice container with you, all the better! The apples are picked. We’re all set for Camel CSA’s annual apple juicing day this Sunday 9 October at our veg-growing site site in north Cornwall. 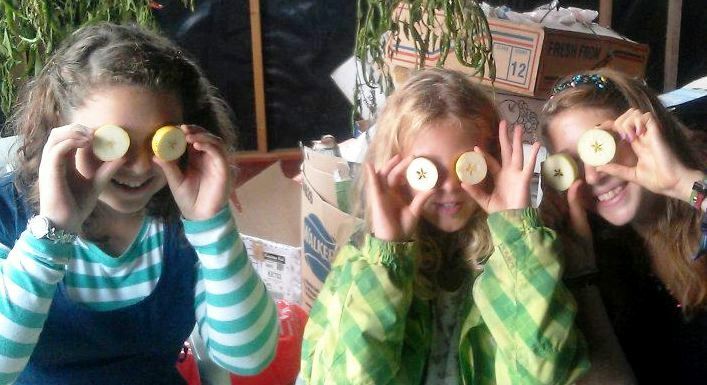 Now the fun part – everyone is welcome to come along and share our bountiful harvest. 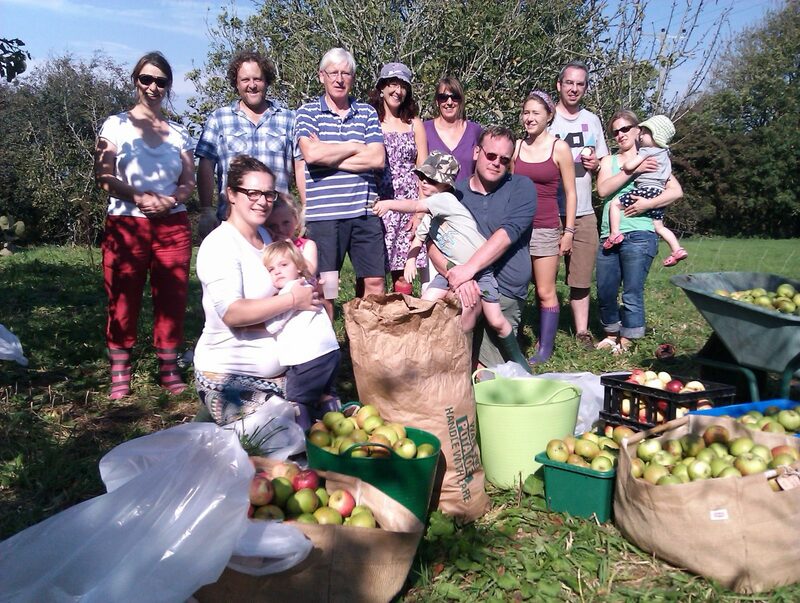 Juicing will go ahead on Sunday morning between 10am and 1pm on our community plot at St Kew Highway near Wadebridge. This year we’re hiring an electric-powered crusher, lots of buckets and a large, Vigo hand press from Chyan Community Field near Penryn. It means we’re no longer having to beg and borrow small, hand-operated presses and should make the whole operation much quicker and easier. But it does mean we’ll need a lot of apples! SO… we could aways use more. If you have any apples to share, or know anyone else with some to spare, please do let us know and arrange to get the fruit to us on the day. AND…please can you all start putting aside containers for the juice. Most effective are 1-litre plastic milk containers, so the juice can be stored at home in the fridge for 48 hours or frozen. But please ensure they’re thoroughly cleaned out first! 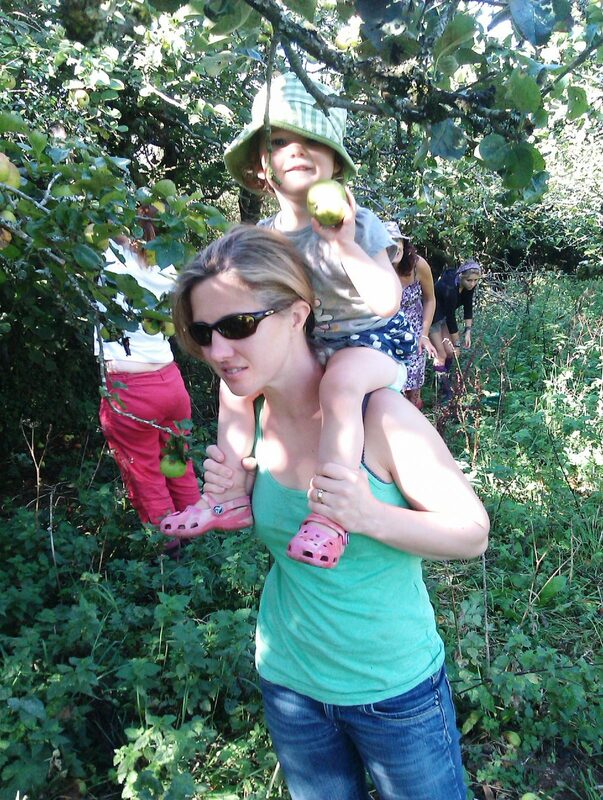 A very enthusiastic bunch of families with young children harvested a vast number of apples in our adopted old farm orchard at St Mabyn. We managed to get the task done last Sunday – the final day of our short Indian summer. Thanks a bunch to our apple picking and tree climbing team – Bob, Bridget, Cath, Charlotte, Dan, Danny, Gav, Geraint, Jane, Jenny, Kate, Kim, Mike S and junior members Arwen, Daisy, Finn, Hollie, Max and Seren. We’re all set for our annual apple juicing event. The apples are picked and the presses prepared. It’s all happening tomorrow – Sunday 17 October – between 10am and 12.30pm. You’ll find us on Camel CSA’s vegetable plot behind St Kew Harvest Farm Shop at St Kew Highway in north Cornwall. Our fest follows the success of last year’s event which involved lots of families. It’s just one of many Apple Day events taking place across the country. Everyone will be able to join in washing, cutting up, crushing and pressing the apples. You’ll also have the opportunity to taste the different varieties. In exchange for your efforts you’ll be rewarded with a fair share of the juice, either to drink on the spot or take away with you. Please bring a plastic container if you intend to take some home, as it freezes well. It promises to be another warm, sunny Cornish autumn day, so do call by. 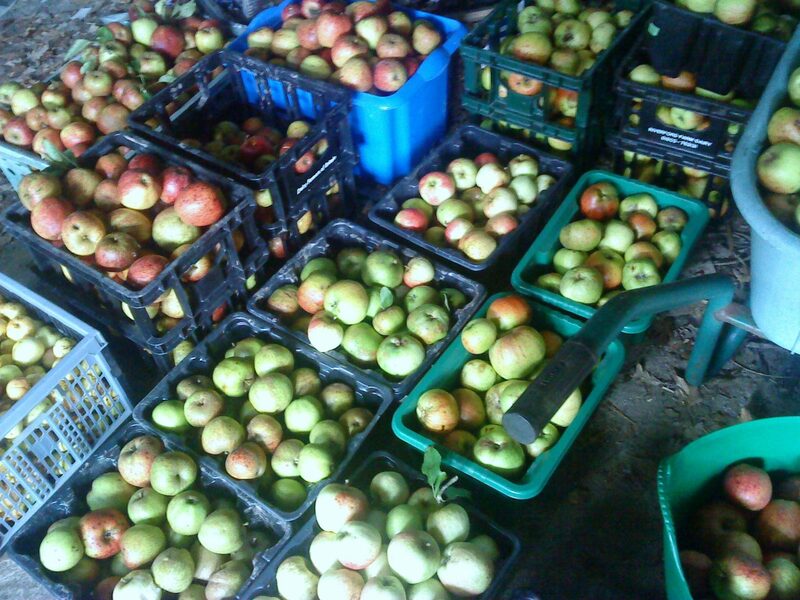 Pick, pick, pick… we’ve harvested a record number of apples for our annual Cornish apple juicing event next Sunday. 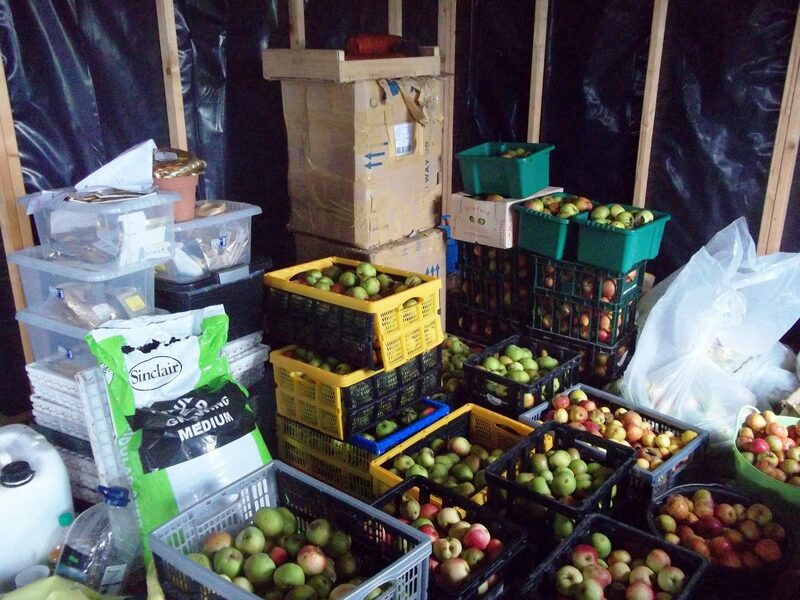 Our team of adults and children filled every container available with this year’s huge glut of fruit from our adopted orchard in St Mabyn. Some of the apple trees in the garden and old orchard are really quite unusual. They include delicious dessert varieties like Lord Hindlip and Gascoyne’s Scarlet as well as the familiar cooker Bramley’s Seedling and the cider apple Tom Putt. 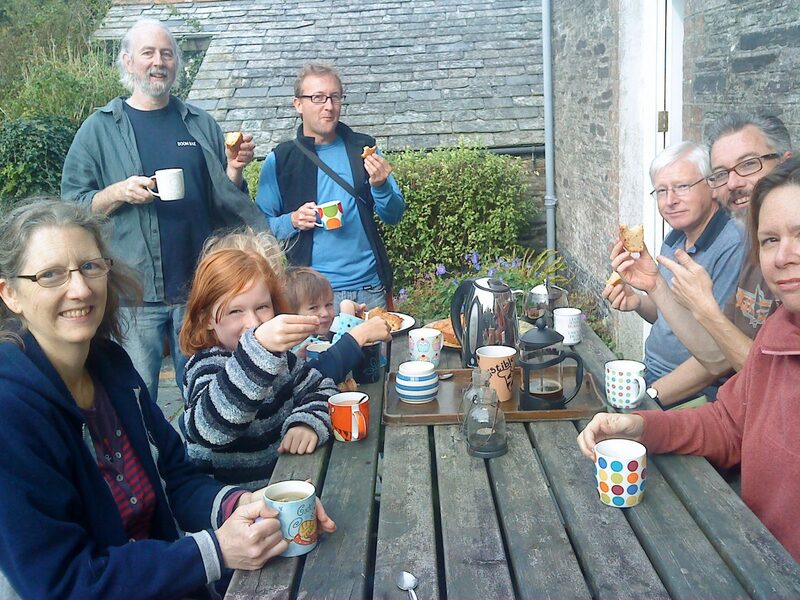 Many thanks to apple pickers Aimee, Brooke, Charlotte, Fiona, Jerry, Lani, Lily, Mark M, Mike S, Paul, Ros, Sammy, Shayne and Teresa, whose joint efforts were rewarded with large quantities of homemade Westcountry apple cake. The best of the dessert specimens and some of the cookers will go in Camel CSA’s veg boxes next week. The rest will be turned into apple juice at our juicing fest. This is happening next Sunday 17 October from 10 am – 12.30 pm on Camel CSA’s vegetable plot next to St Kew Harvest Farm Shop, at St Kew Highway in north Cornwall. It follows the success of last year’s event which involved lots of families. Everyone will be able to join in washing, cutting up, crushing and pressing the apples. Age is no barrier! You’ll also have the opportunity to taste the different varieties of apples on Sunday. It’s just one of many Apple Day events taking place across the country. This year we’ve managed to borrow three traditionally-made Vigo hand-operated apple presses and crushers, all of which require a team of volunteers to operate them. It’s a great opportunity to get to know fellow members and local food enthusiasts. So please do come along and join in the fun. Big excitement! The first of our three big new polytunnels is on order and should be on our site at St Kew Highway in a couple of weeks. It’ll arrive just in time to house all the winter salad crops we’ve been sowing. It’s also time to pick our delicious Cornish apples. 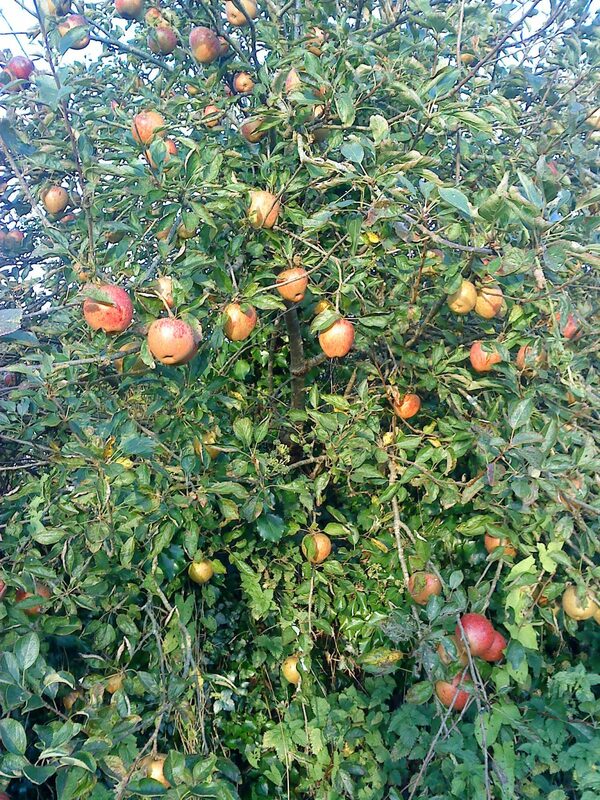 We’re harvesting them this coming Sunday from the old farm orchard we’ve adopted in the nearby village of St Mabyn. The most delicious variety – Lord Hindlip – will go in Camel CSA’s veg boxes next week. The rest will be crushed and pressed into apple juice. 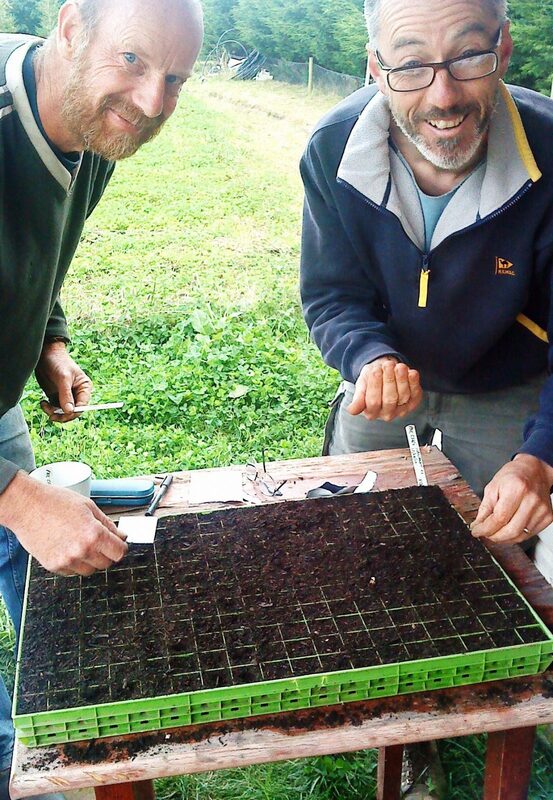 This will happen on Sunday 17 October on our veg plot next to St Kew Harvest Farm Shop. We do hope you’ll come and get stuck in at our annual juicing event. It’s an outdoor activity that’s suitable for all ages. And, as our hard-working press gang discovered at last year’s juicing fest, it’s really good fun! 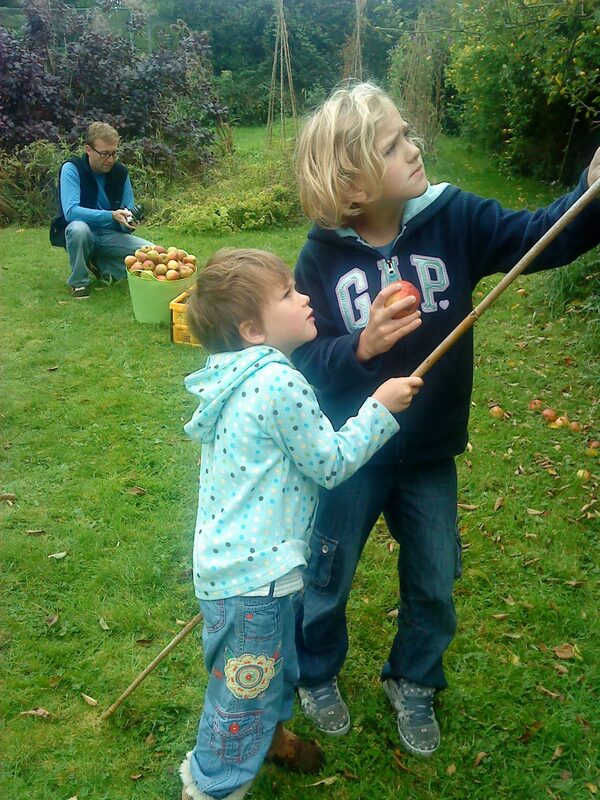 We’re devoting this Sunday’s volunteer session to picking apples in St Mabyn. 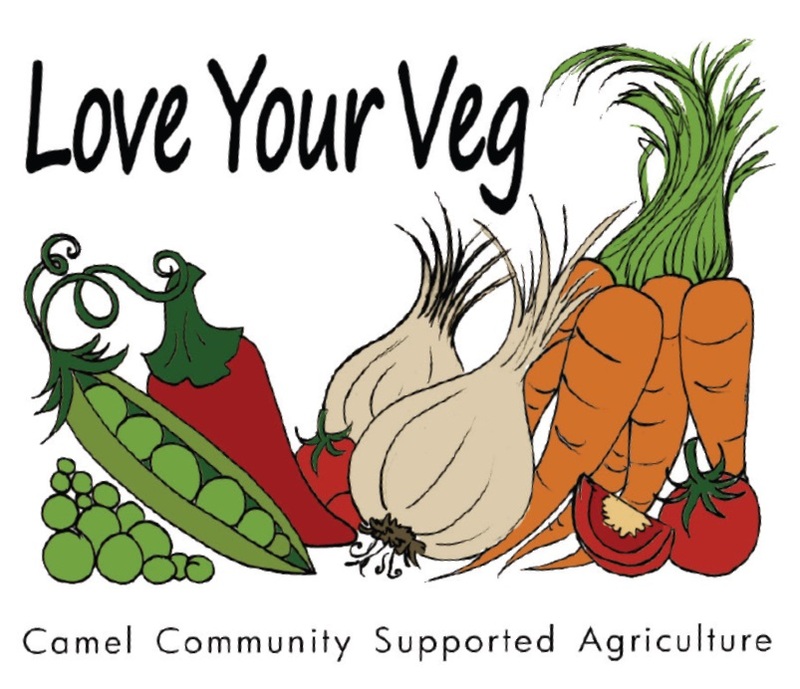 Camel Community Supported Agriculture members are invited to turn up at between 10 a.m. and 1 p.m. on Sunday. Look out for the Camel CSA sign on the gate. Or contact us. We’re hoping to harvest enough apples to go in next week’s boxes and to turn into delicious, fresh apple juice the following Sunday. If you’ve got any surplus apples of your own, we’d like you to bring them along then. In the meantime we’re busy trying to source an apple crusher and press. So if anyone out there can help us, please get in touch with one of our core (!) group.